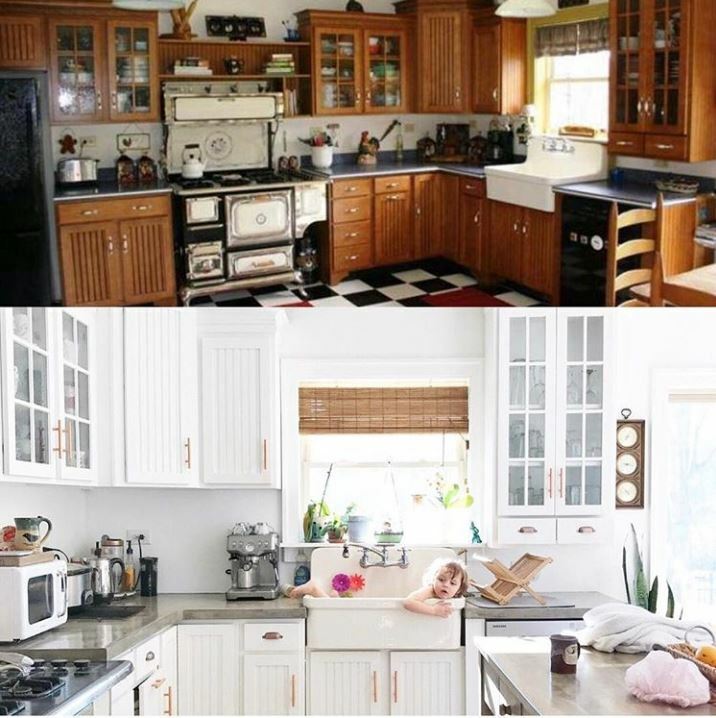 It has been a year since I shared this kitchen transformation that was done in the middle of 2017 and …….I still think about it. And actually – I dream about it too! 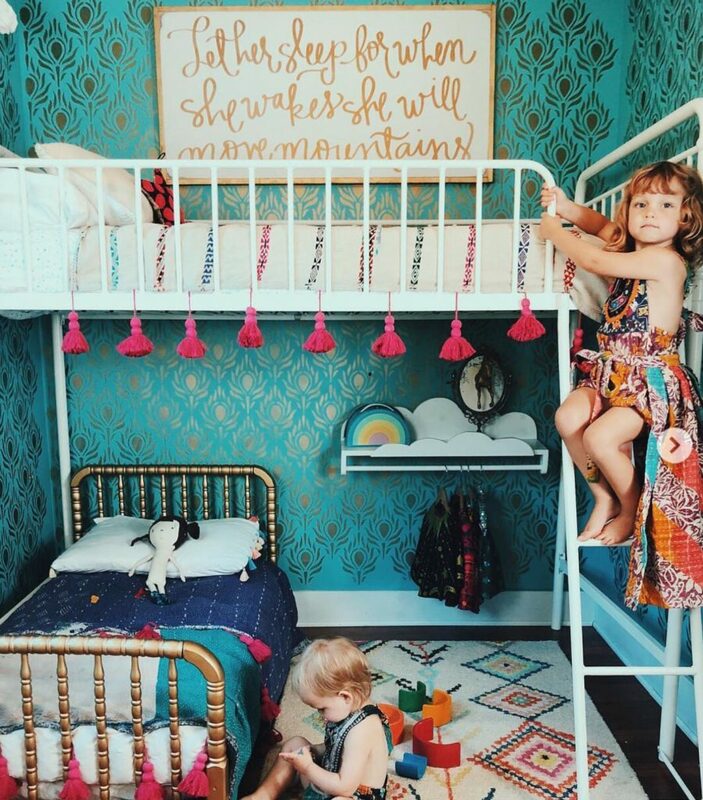 Alyssa at Little Moon Clothing is an extremely gifted artist and stylist and clothing creator – talented beyond her years, in my opinion. 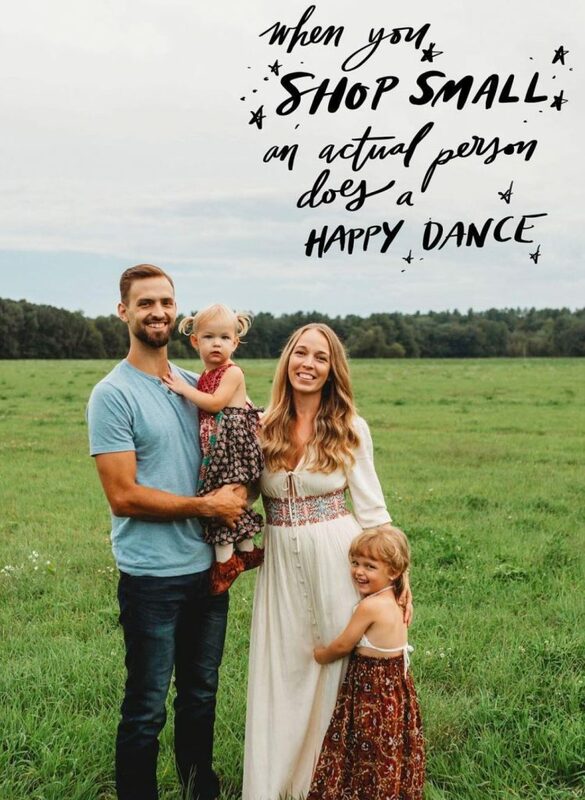 Alyssa has a beautiful Instagram page that you should be following- she shares her family’s adventures renovating an old 1890’s NY farmstead with a bohemian flare and ……photos of her business, @littlemoon_clothing of funky children’s apparel that will make your jaw drop. But back to Alyssa’s amazing kitchen transformation she did using Pure White Chalk Paint®️ by Annie Sloan and Annie’s Chalk Paint Clear Wax. We are still swooning! 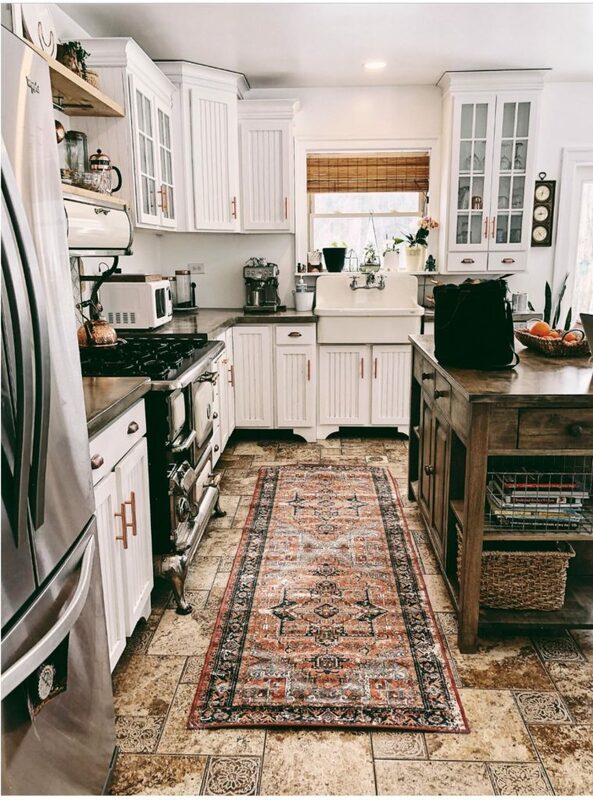 Take a peek at this BEFORE & AFTER! I see this and feel the heavens open and hear angels sing. 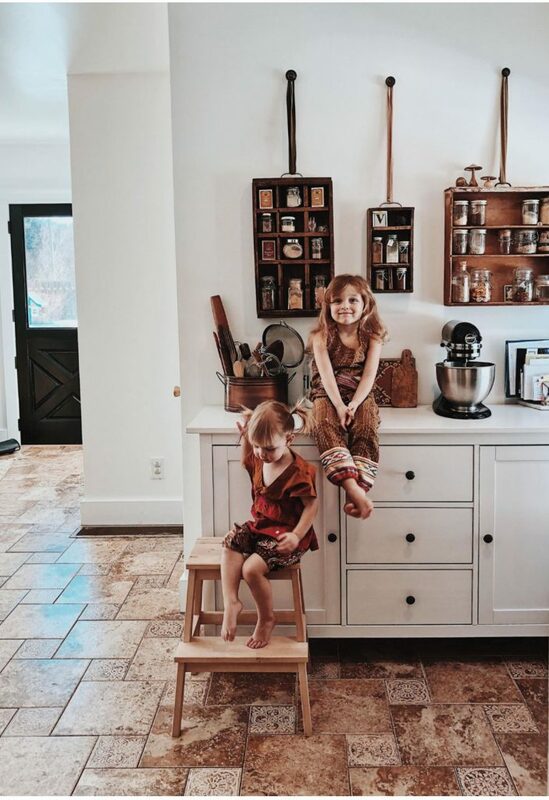 And look closely at that farmhouse sink in the “after” photo…because one of those little angels is in it! Alyssa cleaned with tsp, sanded, primed with zinnsler water based primer, used Annie Sloan chalk paint® in Pure and then sealed with three coats of wax – that she applied over a weeks time. At The Purple Painted Lady, we recommend using Krud Kutter to clean your cabinets prior to painting and then- follow up with wiping your doors with fresh water to remove any residual cleaner that could repel your paint. 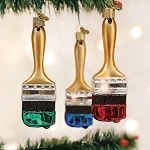 thin your Chalk Paint® with some water. I would do this in small batches and not exceed 20%. I would recommend that you find a consistency that works best for you based on the local humidity and temperature where you are at- and your ability to manipulate the paint. Be careful and make sure you do not leave heavy lap lines behind. Okay- well now I must share with you also Alyssa’s extremely stylish clothing line that has a global flare to it! So , please go check out more of her SOCIAL platforms and tell her that The Purple Painted Lady sent you! Visit this website post to read in detail! 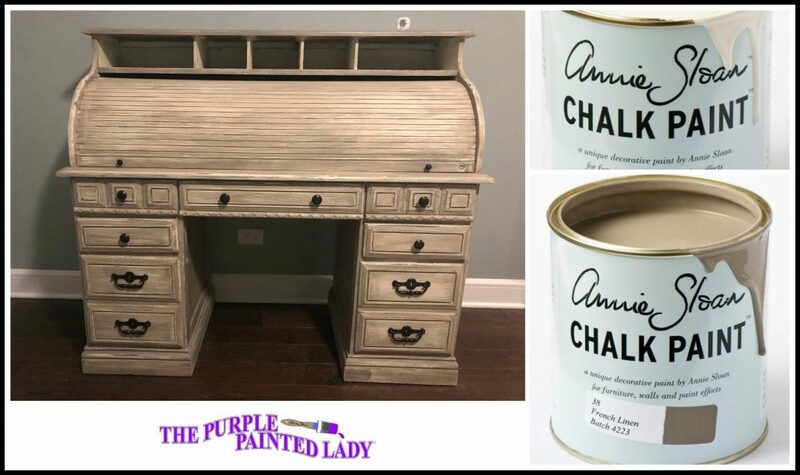 About The Purple Painted Lady– Stay in the “Know” with our Text Messaging Service To get notifications of when a new color or product from Annie Sloan is going to drop, or be alerted to when TPPL are about to do a Facebook LIVE on a new technique or product releases ….Text 74121 the word the chalkpaint (ALL ONE WORD and lowercase) to get notices of new colors and exciting changes! Our Level of Customer Service: If you are a customer of ours…..when it comes to customer service- The Purple Painted Lady will go above and beyond. That means if you have a question in the middle of your project, something is not turning out the way you expected it to or are looking for some advice on how to approach your project- all you need to do is call me! Yep, that’s right! 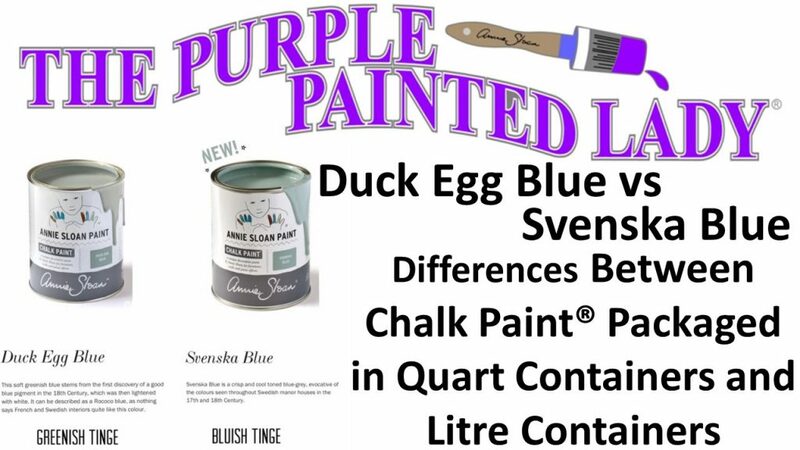 By purchasing from The Purple Painted Lady- you get a “Chalk Paint® Concierge” if you will! Or- if you are using any other product that we sell- do not hesitate to contact me for help. 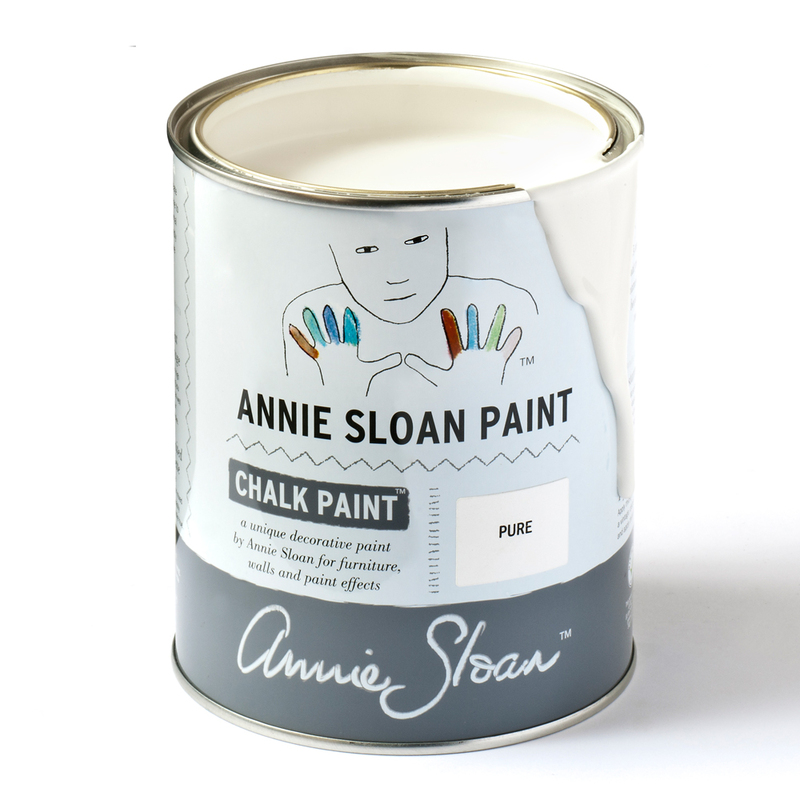 If you have a local stockist for Chalk Paint® – GO SEE THEM AND BUY LOCAL! But if you do not, keep in mind, when it comes to SHIPPING…we will ship your order out our doors the THE SAME DAY AS YOUR ORDER IS PLACED. If you place an order- be confident in knowing that The Purple Painted Lady has everything in stock! What does this mean in the end? With the team we have in place- your order ships out our doors the same day you place it – Monday through Friday as long as we received it before 3pm EASTERN TIME, because our UPS driver, Mike ….picks up our packages around 3:30pm. 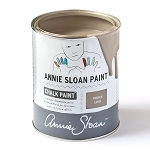 Have you heard about the global alignment of Chalk Paint®️ by Annie Sloan happening through out 2019 in regards to the containers of paint transitioning from quarts to litres? One extra bonus is that the litre containers are 1.8 ounces larger and we sell them for the same price as the quarts. OPENING: The new lids of the litres takes a little different approach to opening. You will want to use a paint can opener or the blunt edge of a tool, like a spoon possibly. Carefully wedge the edge under the lids slowly and gently as you turn the container of paint in a circle. Wedge the opening multiple times as you go around the entire lid’s perimeter. You may have to do this twice since they are sealed really well so they stay closed in transit. CLOSING: Don’t bother using a hammer or mallet because they will warp the lid. Just use the cushy part of your palms like the video shows.